Local tea businesses brew up different approaches to an ancient commodity. The popularity of Traditional Medicinals, the Rohnert Park tea company, has paved the way for plant medicine to escape its alternative healing niche and arrive on supermarket shelves across the country. At the same time, a demand for innovative tea flavors has made space for specialty loose leaf tea shops focused on adventurous flavor profiles and tea blending that resembles the bespoke cocktail trend. 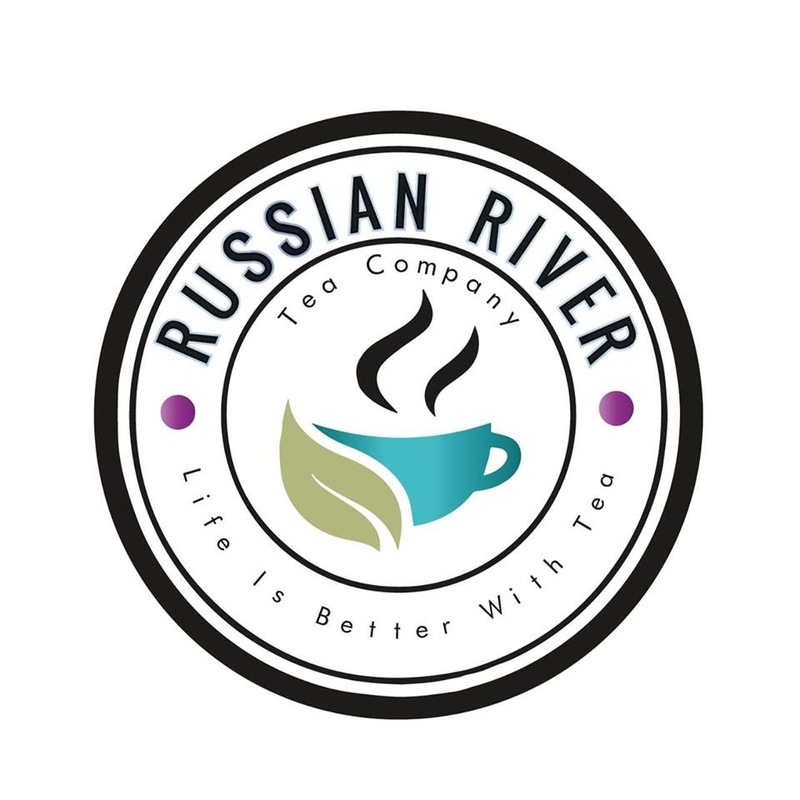 Sonoma County is home not only to Traditional Medicinals but also smaller purveyors like Russian River Tea Company, which sells over 180 varieties of loose leaf tea, and Tea and Trumpets, a one-person business in Santa Rosa. We took a look at how the three companies vary in approach and scale as they forge livelihoods in the world of tea. When the chef at Single Thread—the Healdsburg restaurant known for meticulous discernment in everything from ceramics to vegetables—needed a very particular tea profile for a very particular dish, he didn’t make a call to a broker in Japan. Instead, he headed a few doors down to Russian River Tea Company. “He smelled every tea in the place,” says Russian River Tea Company owner Holly Hunt. The chef eventually settled on an herbal Earl Grey to go with the night’s top secret dish. He wasn’t the first local restauranteur, or the last, to benefit from the proximity of Hunt’s tea and gift shop, where she sells over 180 varieties of herbal, green, and black teas, in addition to locally made chocolate, candles, art, books, and tea towels. At Valette, just two doors down, you can sip on an iced Island Breeze tea from the shop, and at Dry Creek Kitchen you might try the salad dressing made from a lemongrass and raspberry leaf tea blended by Hunt. Get a spa treatment at Hotel Healdsburg and you might be offered a unique tropical-inspired green tea called Purple Reign (yes, it is a tribute to Prince), which benefits from the addition of local lavender flowers. Or you might stumble upon a tea-infused cocktail at local craft cocktail destinations like Spoonbar or Brass Rabbit. “I feel so proud because I’m super particular about what I bring in,” says Hunt, who opened the doors to Russian River Tea Company in 2013. “There are literally thousands of teas to choose from. For me, it’s just watching it go to the next level and being utilized for something else that no one has thought of.” Hunt’s been in the tea business for nearly a decade. For years, she worked in corporate retail management, but yearned to be an entrepeneur. “When I decided to do my own thing, I looked at all of my options and tea just spoke to me,” she recalls. Soon, she was attending the World Tea Expo, building relationships with tea brokers and blenders that remain integral to her business to this day. Later that year, she opened Dragonfly Teas in Phoenix, Arizona. Inspired by Teavana, the Starbucks-owned tea store found in malls across the country, Hunt focused on unique loose leaf tea blends with appealing smells and tastes. After the birth of her grandchild, Hunt returned to California (she’d previously lived in Sonoma). She brought the tea company with her, along with professional partnerships with brokers and blenders from Germany and Philadelphia. Sometimes she buys blends from them, and other times she purchases the ingredients and blends them herself specific to an imagined vision. She takes advantage of local ingredients, often adding locally grown lavender, rose petals from Russian River Rose Company, and mint from nearby gardens. It’s all in the name of creating tea blends you might not find anywhere else, and that Hunt herself loves. Last week, Drake Sadler, founder and chief visionary officer at Traditional Medicinals, was on the phone with an airline employee. She took down his email and noticed that it said Traditional Medicinals in the address: “I drink Smooth Move!” the employee declared, before waxing rhapsodic about the company’s best-selling laxative formula, how it had made her more regular and improved her health. Sadler relays the story with a chuckle. It might have been TMI, but he’s always pleased to hear about the wide reach of his company’s organic herbal teas. 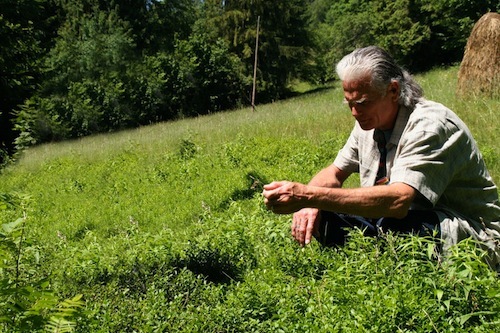 Such experiences also aren’t out of ordinary for Sadler, who cofounded Traditional Medicinals in 1974 with Rosemary Gladstar, who many consider to be the mother of modern American herbalism. Over the last four decades, Traditional Medicinals has grown from a west Sonoma County upstart, driven by the mission of connecting and educating people with plants, to the leading seller of wellness teas and the fifth largest tea company overall in the U.S. Not bad for a business started by two young back-to-the-landers. Gladstar, a self-taught third generation herbalist and Sadler, a community organizer who attended Santa Rosa Junior College in 1969 and later transferred to Sonoma State University. From the beginning, the couple spent time thinking about how to create a for-profit business that served not only the customers but also the people who were responsible for the actual raw materials. One that didn’t cause harm but did create goodwill, good health, social sustainability, and community. “Once I went through the process of thinking through business in that way, I never really turned back,” says Sadler by phone. Gladstar is no longer part of the company’s ownership, but Sadler says they remain best friends (they also have a son together) with lots of cross-fertilization with her current work at Sage Mountain Herbal Retreat Center in Vermont. And many of her original formulas—including Smooth Move—are still in the Traditional Medicinal repertoire. The company’s day-to-day operations are now overseen by CEO Blair Ellison, and they employ 200 people in Sonoma County while generating more than $60 million in sales with products sold in more than 60,000 stores across North America. That means that, as you read this sentence, there’s probably a new mother at a Walmart in the Midwest reaching for a box of Mother’s Milk organic herbal breastfeeding support tea. From a young age, Mark Bowden had an entrepreneurial spirit. He even kept lists of business ideas: a homework helpline, a Portland-style food cart, a property management company. In high school, he launched his first business, where he took photographs of items in people’s homes for insurance claims. But, the work’s dependence on fear factor didn’t sit right with him. Besides, his real passion was in tea. So, in 2014, when he was in his mid-twenties, the Santa Rosa resident launched Tea and Trumpets, selling organic loose leaf tea at farmers’ markets. He’d left corporate pharmaceutical sales a few months before, using his severance pay to fund the launch. Early on, Bowden knew he wanted to sell organic tea leaves. “If I am going to drink something every day, I want to make sure it’s in its purest form without chemicals and pesticides.” The decision to get certified also gave him a leg up as the only local loose leaf tea company doing strictly organic. He focused on farmers’ markets rather than jumping right into a retail store; it was a lower risk entry point, called for a lighter health permit, and demanded less overhead. But it wasn’t until he met Cynthia Buck and Jon Bixler, the cofounders of Bella Rosa Coffee, that his business plan really came together. They became mentors to Bowden, who had a degree in management and entrepreneurship from San Diego State University but no experience in running a company. Bixler recommended a staunch focus on wholesale sales to restaurants, cafes and farmers’ markets; Buck redesigned the product labels to make them stand out on the shelves of grocery stores. “They really gave me clarity about where I wanted to go,” Bowden recalls. While Bowden’s tea selection has grown to more than 30 varieties on sale at markets and online, he continues to be the only full-time employee of his company. He also has two part-time employees, and one of them is his mother. Eventually, he might open a tea house. 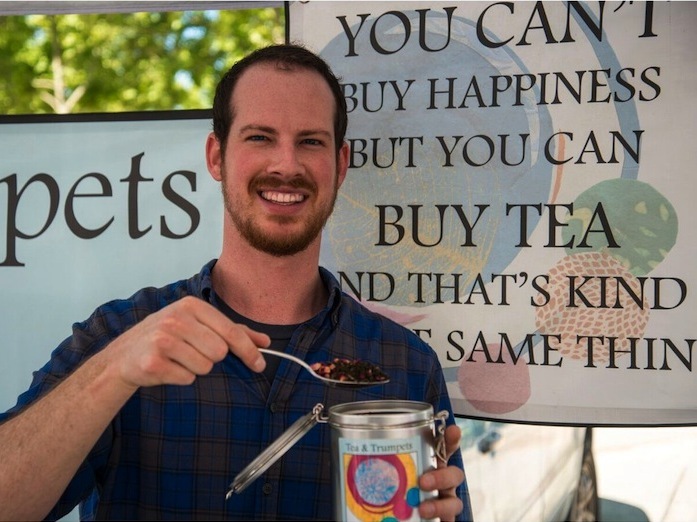 For now, he’s focused on slowly and smartly growing his young business while staying focused on educating people about the flavor and health benefits of tea. Available at independent grocers, online and . . .